“Hostile Takeover 2012” Tour this summer and fans heading out for the live show can now have a first class experience with an exclusive VIP package! The official VIP package for Tech N9ne’s “Hostile Takeover 2012” Tour is now available and includes limited edition merchandise items from Strange Music, like this brand new Tech N9ne tie. Featuring an all over Tech N9ne print, this black tie is perfect for any occasion and adds a little formality while still keeping it strange. Just like the ties that Tech N9ne wears on stage, these were made to last and are sure to be a perfect addition to any Technician’s collection – get yours now! 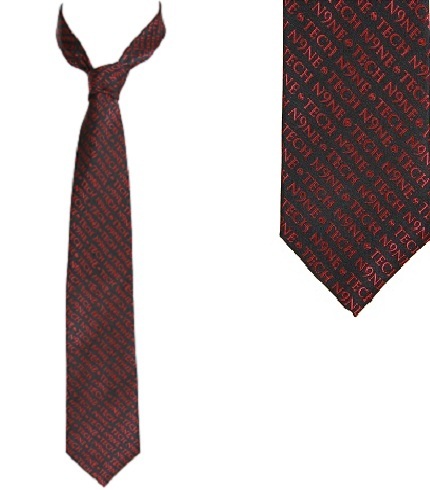 What do you think of the new Tech N9ne tie?